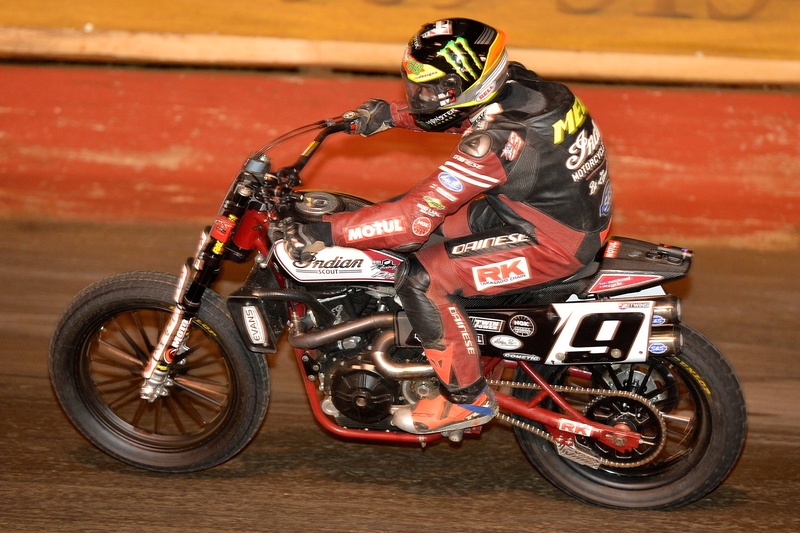 Indian Wrecking Crew’s, Jared Mees put on a flawless show in Perris, CA at the Perris Auto Speedway's clay Half-Mile to end his epic 2017 American Flat Track season. His resounding victory came on top of already locking down the Grand National Championship. Mees put the No. 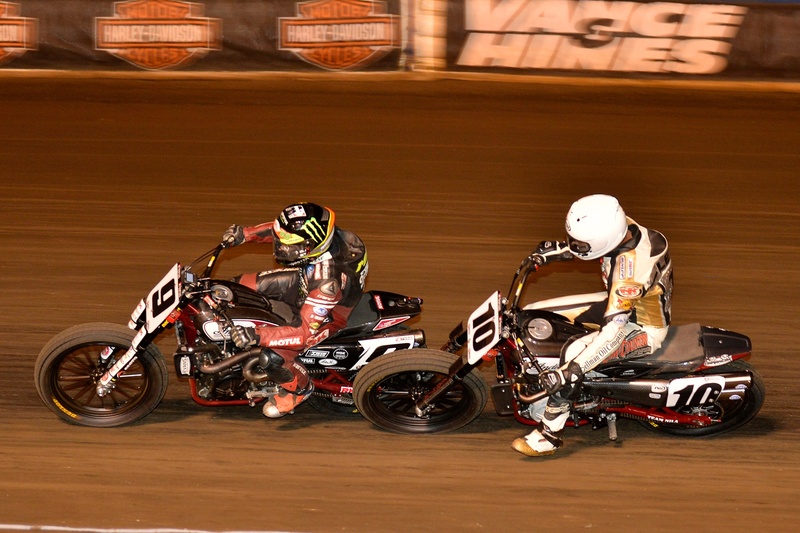 9 Indian Motorcycle Racing Scout FTR750 at the front of the pack from the start and never looked back. Coming into the final lap Mees was more than three seconds ahead while the remaining riders battled over second in a pack that stretched over 10 riders long. 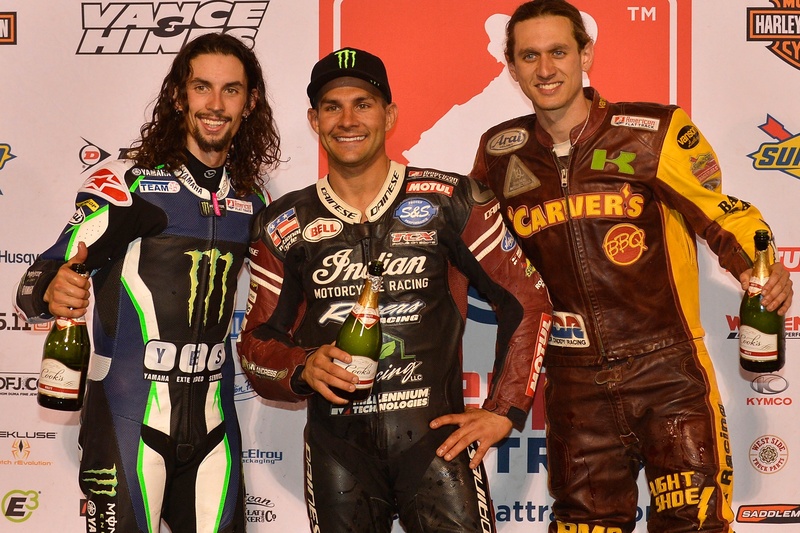 His final win also sealed the new single-season podium record, previously held by American Flat Track icons Scott Parker and Ricky Graham. Mees ended the year with 17 top threes in 18 attempts. Ten of these podiums came in victories, six were runner-ups, and just one was a third. 2. #23 Jeffrey Carver Jr.
Öhlins Fastest Lap - #23 Jeffrey Carver, Jr.